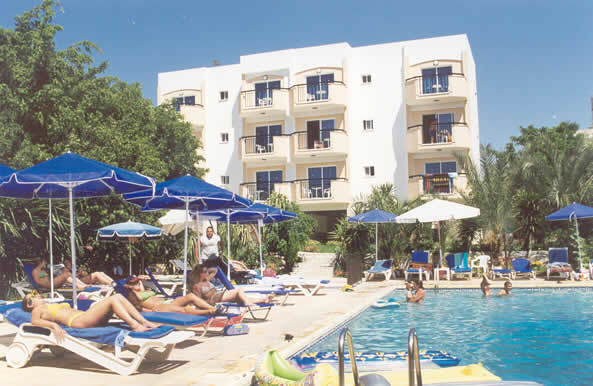 The Mariela Hotel Apartments is a recently updated and extended complex of 64 apartments. This year we they remain open in the Winter. 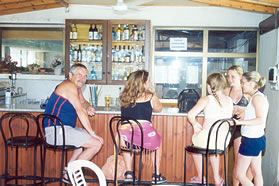 There is a large Reception area and a weekly Cypriot Food Night. Only a five minute walk to the centre of the village of Polis, 1 km to the beach and 3km to Latchi harbour leading to Aphrodites Baths and the beautiful Akamas National Park. 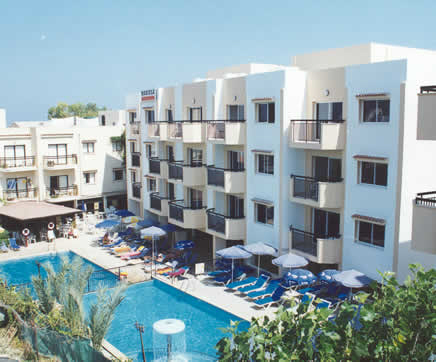 Polis: Is situated just a 40 minute drive from the much larger town of Paphos. In the centre of the village their is a Post Office and variety of Banks, Gift Shops, Taverna's, Restaurants and Cafes. You will a be able to experience the renowned hospitality of the locals here and in all the surrounding villages. This is an ideal location for relaxation and tranquillity. Walkers and those who appreciate a combination of sea, mountains, beauty spots and typical Cypriot night-life are sure of a memorable holiday in this area..
All rooms have an equipped kitchen area with mini-oven or microwave. Separate bathroom with Bath & Shower. Direct line telephone, air-conditioner and bed linen and towels provided ( Changed twice weekly ). Village centre for Shops, Bars, Restaurants etc. - 5minutes. Disclaimer: the details above are believed to be accurate at the date of publication, however no guarantee is provided by the booking agent for outdated or incorrect information.